Donations of summer clothes and shoes for children and adults are needed to re-stock the King’s Closet here at the Light. 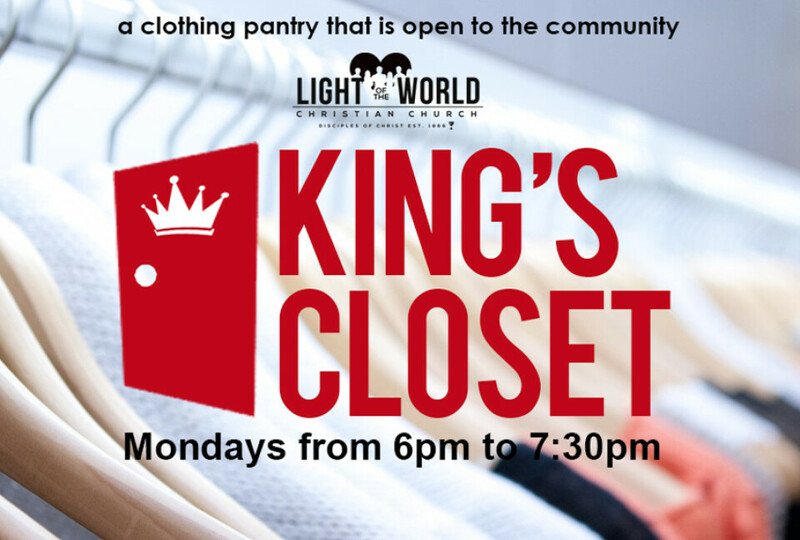 The King’s Closet is a clothing pantry that is open to the community on Mondays from 6pm to 7:30pm. Items must be clean and ready to wear. Bring your donations to the King’s Closet table, in the Narthex, on Sundays or Monday evenings.